Here comes “This Week’s Play” with Jack Benny and all the gang! Mary Livingstone, Phil Harris, Eddie “Rochester” Anderson, Dennis Day, and Don Wilson all play their parts in parodies of Hollywood movies, wild Westerns, murder mysteries, and more. 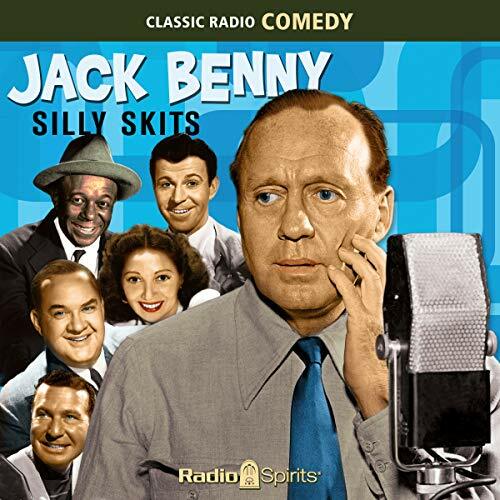 Kick back with 16 satirical skits in this collection of classics from the 1940s and 1950s, featuring guest appearances by Barbara Stanwyck, Oscar Levant, Charles Farrell, Sam Goldwyn, Frank Sinatra, and George Jessel! Episodes Include: Golden Boy 01-07-40; Mr. Benny Goes to Washington 03-10-40; Hillbilly Feud 06-02-40; City of Conquest 01-19-41; Tales of Manhattan 10-25-42; Spoof of Information Please 01-17-43; Rancho Benny 05-16-43; State Fair 01-20-46; Nightmare Alley 02-08-48; From Palm Springs, California 04-11-48; Murder at the Racquet Club 04-18-48; The Egg and I 05-23-48; I Was Framed 05-30-48; The Champion and the Set Up 05-22-49; George Jessel Tells Jack’s Life Story 11-04-51; Suspense 01-06-52.